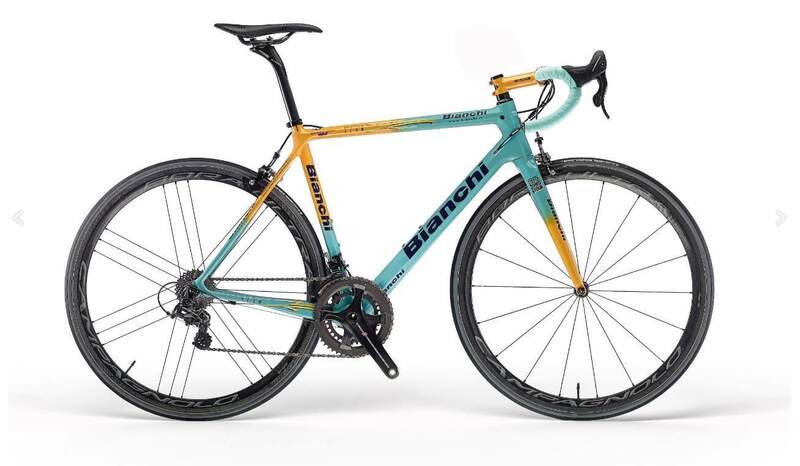 Bianchi Specialissima 2018 Marco Pantani Edition. In the Summer of 1998, Marco Pantani and Bianchi put in some of the most epic stage race performances of all time to take outstanding wins at both the Giro d’Italia and the Tour de France. It’s a feat that only seven riders have ever achieved and that confirmed Il Pirata’s place in cycling history and Italian culture.To honor the 20th anniversary of Pantani’s spectacular Giro-Tour double, Bianchi has created a 2018 very special commemorative edition of the world-renowned Specialissima ultralight frame and fork.